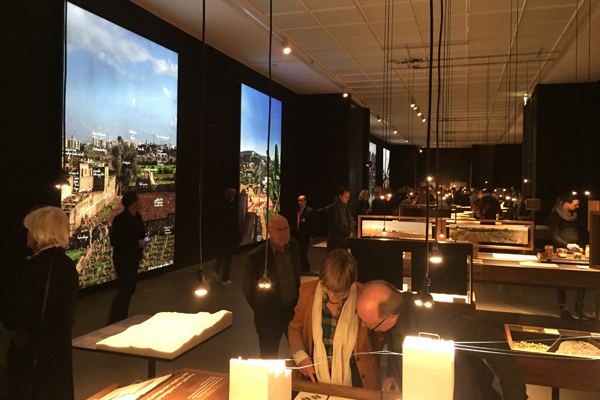 An exhibition devoted to landscape architecture in global development entitled Out There (in Germen, Draußen)” is being held at the Architekturmuseum der TU München through August 20, 2017. Having frequently showcased the social relevance of architecture in recent years, the museum’s focus now shifts to a discipline with the potential to have a far wider impact on the use of land. The exhibition aims to give the public a deeper understanding of the changing concepts and strategies of landscape architecture in the present, and at the same time, to clarify its growing importance for the future. Landscape architecture today is dedicated to the spatial systems that will shape the society of tomorrow. Though from as far afield as Spain, China, Rwanda, and South America, all ten projects featured in the exhibition share a primary focus on exploration. 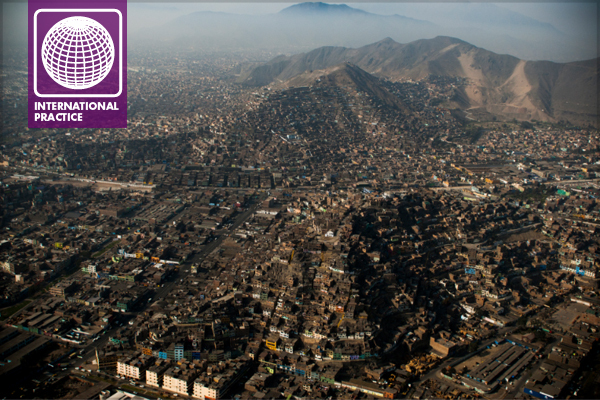 They do not claim any finality in the complex and unpredictable situations relating to the rapid urbanization of very diverse cultural geographies. This focus illustrates how there can be no panaceas or universally-applicable best practices. In all case studies, process and stakeholders determine the content, and not the other way around. 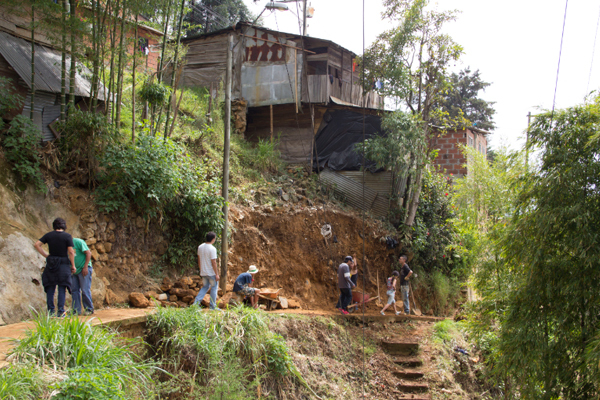 For example, the case study in Medellín, Colombia examines natural hazards such as landslides, which are intensified by climate change and predominately affect the lowest income groups in the city’s informal settlements. The collaborative landscape strategies offer those affected an improvement in their overall living situation, through a landslide warning system, slope stabilization, added amenities, and phasing. The teams’ analysis draws upon a range of academic tools and disciplines, such as sociology and ethnology. The real case studies effectively collate systems of knowledge specific to the respective locality, which is then verified in close cooperation with the local project partners working in the field. This is undertaken prior to any consideration being given to possible transformative elements or architectural measures. 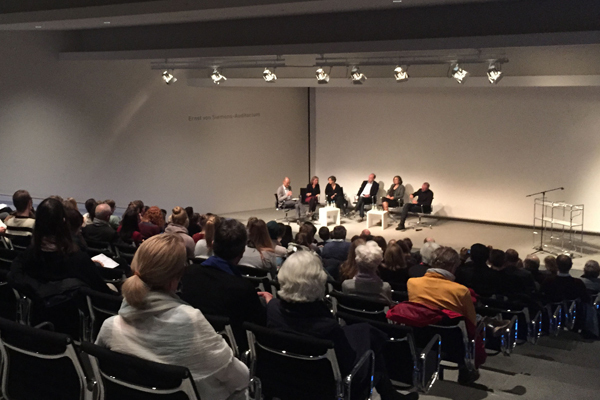 In the evening of the opening day, all five teams held a round table discussion about the exhibition, and advocated that contemporary landscape architecture has to respond to the challenges of global migration to cities that is characterized by social injustice, spatial inequalities, and political instability. With all of these collaborators and contributors, the exhibition can therefore be understood as a report on how European landscape architects address the challenges of globalization within their fields of work, how they integrate diverse cultural contacts—bringing in ideas from ‘out there’—with whom and how they cooperate, and what new knowledge can emerge through such cooperation. If you’re traveling to Munich this summer, don’t forget to stop by for the exhibition! For more information, visit the Architekturmuseum der TU München website. by Chih-Wei G.V. Chang, ASLA, EWRI, LEED AP. He is an Associate of SWA Group, lecturer at the Academy of Art University of San Francisco, and co-chair of International Practice PPN.